The United States of America produced a final day flourish to win the World Amateur Championship and take home the Espirito Santo Trophy for the first time since 1998. Ireland entered the closing round at Carton House with an outside chance of taking a medal but they failed to gain ground and an even par return for the day left them finishing in a tie for 11th place. Japan finished second on 19 under with the Republic of Korea one shot further back in third. Winning bronze two years ago set a new bar for Irish ladies golf, which makes it easy to forget that this week’s display matched Ireland’s previous best of tied 11th in 2010. “We were up there close but just the second day we didn’t get things going and that kind of put us behind for the whole week,” said Annabel Wilson, whose final round 72 (-1) was Ireland’s best score on the less demanding O’Meara Course. Olivia Mehaffey was Ireland’s highest placed individual, tied 12th on three under. Wilson tied 23rd on minus one and Lisburn’s Paula Grant birdied the last for 75 to share 63rd on plus seven. “To go four under on the Monty was pretty good,” said Mehaffey. Five shots clear going into the last round, the US coasted home by 10. Kristen Gillman carded 67 and world number one Jennifer Kupcho shot 69 as Korea dropped from second to third with Japan taking silver. There was some consolation for Korea’s Ayean Cho, who finished as the leading individual on 17 under. Olivia Mehaffey will lead Ireland’s bid for World Championship success at Carton House (Aug 29-Sept 1). The Banbridge golfer, ranked 21 in the world, has been named in Ireland’s three-person team alongside Paula Grant (Lisburn) and Annabel Wilson (Lurgan). Republic of Korea are defending champions following their victory in Mexico two years ago but Ireland will present a strong home challenge having finished third in 2016 to take the bronze medal for the first time. “I think in the past this small team format has suited Ireland so there’s no reason why we can’t do well this time,” said Olivia who is readying to fly out to Tennessee to compete in the US Women’s Amateur Championship starting on August 6. “We all know Carton House (Co Kildare) pretty well from playing and practicing down there but to be honest a lot of the other teams have already made trips over to see the venue and the facilities. It will be the first time Ireland has played host to the Championships, with the Golfing Union of Ireland and the Irish Ladies Golf Union combining to host the event, welcoming competitors from 72 participating nations. Annabel and Olivia played in the last staging in 2016 alongside Leona Maguire but this will be a debut appearance in the event for Paula Grant. The golf gets underway on 29 August with the Women’s World Championship for the Espirito Santo Trophy. The men’s championship for the Eisenhower Trophy begins a week later on 5 September. It’s been another hectic summer of golf for Olivia who will return to college in America following the US Amateur. The 20-year-old has competed in the Curtis Cup, Palmer Cup, Euro Team Championships and the most recently the Euro Amateur Championships. “The final result in the Curtis Cup was disappointing (GB&I lost 17-3 against the USA) but I was involved in some really good matches and I took some confidence from that,” added Olivia. Meanwhile, Irish Women’s Close Champion Sara Byrne and Lauren Walsh, who made her senior international debut this year will travel alongside Wilson to the World Junior Golf Championships in Ottawa. The event, which is by invite only, will pit 20 International Teams against one another at Camleot Golf & Country Club from September 9th to 14th. Tickets for the World Amateur Team Championships are free of charge but those wishing to attend are asked to register for them in advance at http://www.watc2018.ie. Christmas, a time to relax and unwind unless, that is, you’re Olivia Mehaffey (RCDL). The 20-year-old Irish international hasn’t stopped since flying back home from the US where she is in the second year of a golf scholarship at Arizona State University. Olivia is in full prep mode, planning for a 2018 that she hopes will include a successful defence of the Curtis Cup with GB&I and the NCAA Championship title with her college teammates. The Banbridge golfer was recently named on the 14-player provisional GB&I squad along with three other Irish internationals, Paula Grant (Lisburn), Annabel Wilson (Lurgan) and the leading amateur player in the world, Leona Maguire (Slieve Russell). “I think we will have a really strong team this year,” said Olivia who is currently ranked 13th in the world. The 40th Curtis Cup match will be played from 8-10 June next year at Quaker Ridge Golf Club in New York. GB&I will be attempting to retain the title after an 11½-8½ win over the US at Dun Laoghaire GC, Co Wicklow in 2016. In preparation, six potential GB&I team members, including Olivia, Leona and Annabel, met up at the venue last month for a bit of reconnaissance. “It was really nice to get out there and play the course. It means that whoever gets picked on the team has that bit of knowledge which will certainly help,” added Olivia who won 3.5 points on her Curtis Cup debut at Dun Laoghaire. The eight-player team will be announced on April 26 next year. The two leading players on the world rankings will automatically make the team, with six players selected by the R&A’s women’s selection committee. Given her impressive individual matchplay record – she won three out of three to help Arizona win the NCAA title last May – it would be something of a shock not to see Olivia make the team but she’s not taking anything for granted which is why she was at Carton House last week working with coach Donal Scott. “The game is good. I’m very happy with how I played this semester, I’m just making a few changes,” added the sociology student. Arizona will be defending their title without the experienced Monica Vaughan, who graduated in the summer and Linnea Strom who will turn professional early next year. It’s likely to mean that, as the top-ranked player on the team, more responsibility will fall on Olivia’s shoulders. She added; “I see myself as a bit of a leader and I think it is a good opportunity to embrace that role. “I love playing first in match play. It’s about getting out there and getting some early points on the board. It’s something that I thrive on a bit. The Golfing Union of Ireland (GUI) have pulled off something of a coup by signing an apparel deal with the sportswear giant Under Armour. In an exclusive sponsorship agreement, the GUI’s coveted green shirts will be the only team colours to carry the Under Armour logo on the international stage in 2017. In fact, they will actually be the only team in Ireland to carry the Under Armour logo. “We think there is something about not having too many people wearing the product,” said Under Armour’s Richard Palmer-Jones at Monday’s launch at Carton House. “A key part of this deal is that when the players will walk onto the range at an event and look around they will not see another Under Armour team. “We don’t deal with any other team in Ireland, in any sport. This is a big deal for us. Unlike many of their counterparts around the world, Irish amateur golf still enjoys a high profile in the sporting media and that fact has not been lost on Under Armour. Discussions began back in 2015 in the wake of Paul Dunne’s fantastic display at The Open Championship. One of Ireland’s leading amateurs at the time, Dunne, who led after three rounds, wore Under Armour throughout the competition. On viewing the new Ireland Golf team gear, Irish Close champion Alex Gleeson said; “The colours are absolutely fantastic and it’s really comfortable, especially the polos and the jumpers. They look good but they’re still mobile. The new agreement also underlines the high levels of confidence the GUI has not just in the elite amateur set-up but in the organisation as a whole as it undergoes a modernisation process. In 2016, the GUI toasted a momentous year with their first ever podium finish at the World Amateur Team Championships. Ireland captured bronze in Mexico having tied for third, just one shot away from taking silver. Ireland also completed a rare hat-trick at the Home Internationals in August when they beat Wales, England and Scotland to win their third successive title. At the launch event, both Under Armour and the Golfing Union spoke openly about ‘ambition’ and no-one balked at the notion that Ireland can become the leading nation in amateur golf. “We are very proud to become a leading partner of the GUI,” said Kevin Ross, General Manager, Global Golf, Under Armour. By some strange quirk of timing, Michael Bannon was wandering off the course at St Patrick’s GC in Downpatrick on Wednesday evening right around the time that pupil Rory McIlroy was discussing the importance of their relationship. “The swing flaws I have now are the swing flaws I had when I was 14,” said Rory who is playing in the Frys.Com Open on the PGA Tour this week. Michael doesn’t play much competitive golf these days but he has dusted off the clubs to play in the RJ & SE Scullion LLP sponsored PGA in the North of Ireland Championship which gets underway on Thursday at St Patrick’s GC. 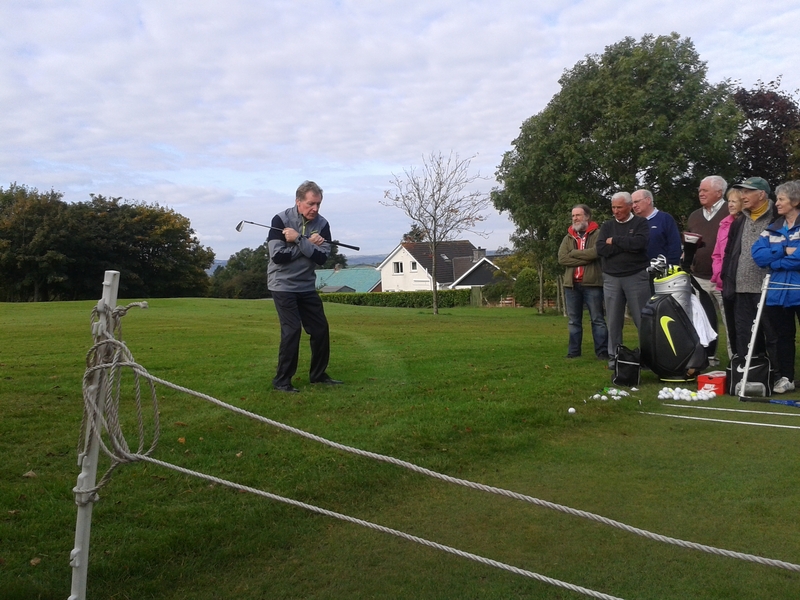 On Wednesday afternoon the 56-year-old hosted a clinic at the Co Down club for guests and members before taking part in a pro-am. While his coach packed his clubs away, Rory was outlining the importance of continuity and loyalty. He added, “In golf, you can fall back into bad habits and swing flaws. “It [their relationship] has evolved. I would tell him how I feel. I try to create a feeling and tell him what the feeling is and he would remember it and write it down. Darren Clarke has backed the Golfing Union of Ireland to produce a new generation of talent capable of making an impact in the pro ranks. The 46-year-old, who remains the favourite to succeed Paul McGinley as Europe’s next Ryder Cup captain, insists that Ireland’s young players can make the grade. “I think the GUI are doing a fantastic job. 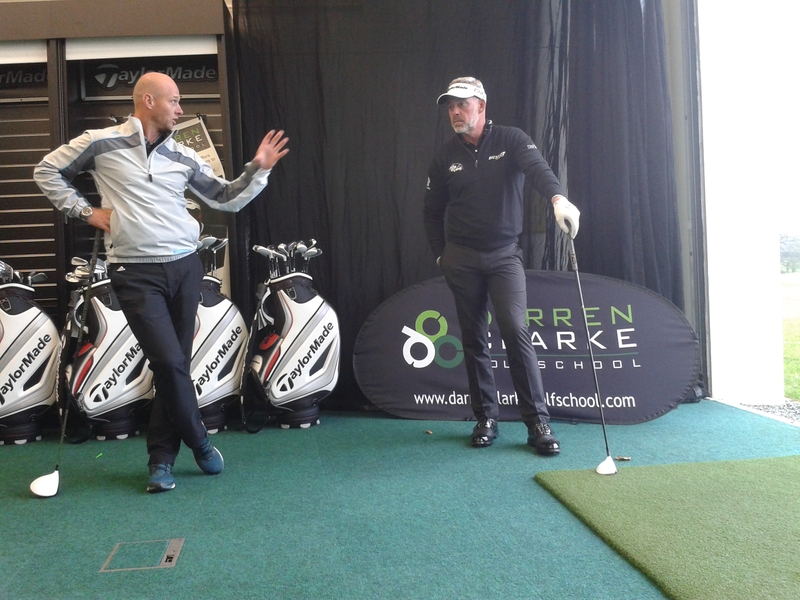 They have a great facility down at Carton House,” said Clarke who was speaking at a TaylorMade event hosted by the Darren Clarke Golf School in Co Antrim. Ireland currently has just two golfers under 30 playing on the European Tour – Rory McIlroy (25) and Shane Lowry (27). 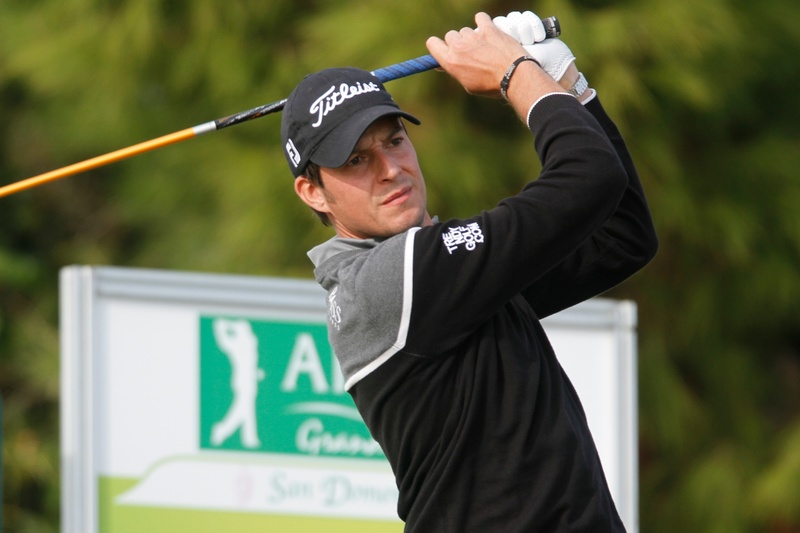 In contrast, French golf is enjoying a resurgence driven by young stars such as Gary Stal (23), Victor Dubuisson (24), and Alexander Levy (24) who have all won on the European Tour. “Yes we would love to have another couple of Irish guys making an impact, of course we do – we need a couple – but it is just the way it goes,” continued the 2011 Open Champion. “The continentals have had facilities like the one at Carton House for much longer than we have had and their kids are coming through now. “They have had more time to get the right things in place but you can’t fault the work the GUI are doing. “And then look at what Graeme [McDowell] and Rory do for Irish golf by competing and winning around the world. That goes an awful long way. Clarke’s own form has been incredibly frustrating since lifting the Claret Jug but he insists that recent Ryder Cup speculation has not been a distraction. “I’m hitting it is a well as normal and all that other stuff going on is out of my control,” he added. “I can control what I’m doing, standing on the practice green at Royal Portrush whenever it is freezing cold and blowing 40 mph. That is what I can control. News that Royal County Down is being lined up to host the Irish Open in 2015 was music to the ears of European Tour professional, Simon Thornton. The Bradford born golfer calls Newcastle home and hones his game on the famous links. The 36-year-old joined Royal County Down professional, Kevan Whitson, as an assistant 15 years ago before opting to go out on tour. He has no doubts that Royal County Down would be a fantastic venue for the tournament. “If it’s right it would be great,” said Thornton. “The golf course could hold any event. We all know the quality of it and how highly it is placed in the world rankings. “The only thing would be the issue of getting people around the course. “The holes are quite tight together, and there are all the gorse bushes and things, but that can be easily accounted for. The 2012 staging of the Irish Open at Royal Portrush was marked by record crowds with over 100,000 spectators thronging the links. The tournament returned to Carton House last year and will be staged at Fota Island in Co Cork this year. As yet, there has been no official confirmation from either the European Tour or Royal County Down regarding a venue for the 2015 staging. Thornton meanwhile is more concerned with improving after a sluggish start to the 2014 season. He was due to play this week at the Tswhane Open in South Africa but a recent ankle injury put paid to those plans. “It’s been average so far. I’ve played reasonably well without scoring well,” said last year’s winner of the Najeti Hotels et Golfs Open in St Omer. “There was a bit of rustiness maybe in those early events. I was striking the ball pretty well but just not capitalising. The year may have changed but Gareth Shaw’s goal remains the same for 2014, making that jump from Challenge Tour player to European Tour regular. 2013 was something of a mixed bag for the 28-year-old. The highs of a fifth place finish at the Irish Open were followed by a poor end to the Challenge Tour season and a failure to make progress via the Euro Tour Q School. With no competitive golf since late November, the Lurgan golfer has had time to assess his options and has made a few changes to his backroom team, parting company with coach Johnny Foster and signing with management company Georgia Golf. Georgia Golf look after the affairs of a number of Euro tour golfers including 2012 Irish Open winner Jamie Donaldson and South African Jaco Van Zyl. “I had three and a half years working with Johnny and he has taken me from being average on the Alps Tour to competing on the European Tour. I have a lot to thank him for and he is aware of that, It’s just one of those things that happens in golf,” said Gareth. Gareth has turned to Hertfordshire based teaching professional, Matt Belsham, as he strives to get himself into the mix more regularly on the Challenge Tour. “When I played well on the Challenge Tour my low scores weren’t low enough,” added Gareth. “I was shooting scores of 68/67 when really I needed to be carding 63/64. The scoring is so low that 20 under par is required to make an impact and the way my game was last year, I couldn’t really do that. The 2014 Challenge Tour schedule has yet to be released but the Tour is expected to return to Galgorm Castle in late August for the Northern Ireland Open Challenge. GARETH Shaw produced his best golf when it really mattered yesterday to finish tied fifth at the Irish Open and, in the process, earn himself a spot in the French Open. 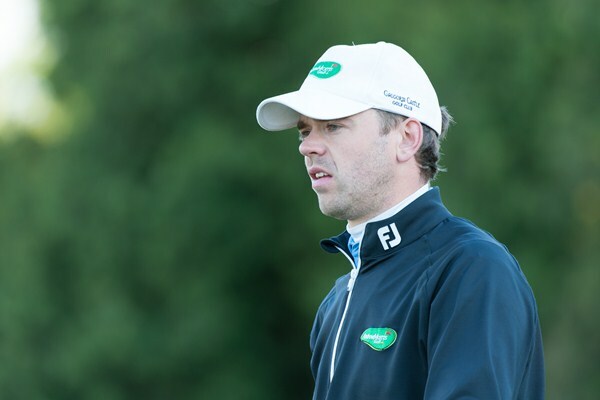 The Galgorm Castle representative, playing this year on the Challenge Tour, only secured a place at Carton House at the last minute following Simon Thornton’s victory in St Omer. However, the 27-year-old grabbed the opportunity with both hands to earn the biggest cheque of his career and, more importantly, give himself a huge shot of confidence. “I played really well down the stretch today and am delighted about my finish,” said a beaming Shaw who signed for a 69 to end the tournament on eight under par. Starting the day at five under, Gareth made a shaky start dropping shots at his opening two holes but he responded in style, playing the remaining 16 in five under, which included an eagle at the short par 13th, when his drive found the green and he then holed the putt from 40 feet. “After the first couple of shots today I was thinking, right, let’s break 80,” said the two-time North of Ireland Amateur champion. “It was nerves, I felt different this morning than I have all week but I am delighted that I was able to steady the ship so well and keep going. “My pitch in at four changed everything. I hit a poor tee shot on four and then laid up long and right of the green, it wasn’t a hard shot but it was a tricky shot and it was just perfect. “That changed my outlook. You kind of go from not getting up and down very easily and going to three over instead of one over. It frees you up, it’s a birdie and it really helps. Will you accept ‘OpenHouse@17’ challenge at Carton House? 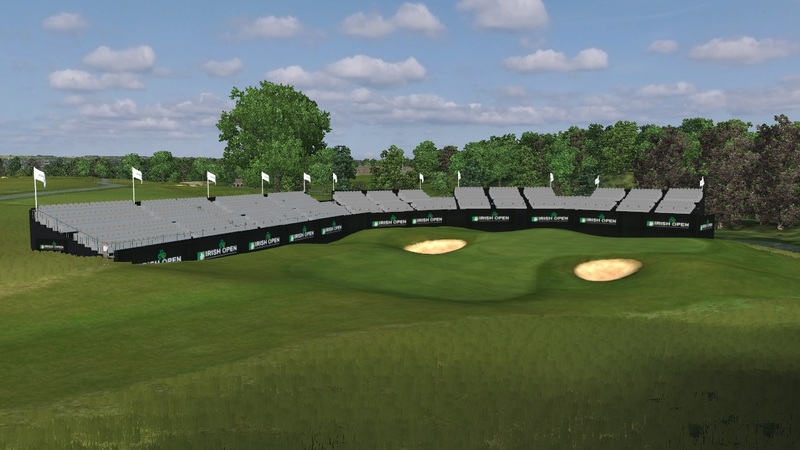 Members of the Golfing Union of Ireland (GUI), the Irish Ladies Golf Union (ILGU) and the general public attending the Irish Open at Carton House next week will have a unique opportunity to play the showpiece par three 17th hole on the Montgomerie Course as part of the ‘Open House@17’ Challenge. Anyone visiting the Tented Village at Carton House can register to compete in the challenge at the GUI National Academy stand. Spectators can then use the shuttle service provided by The European Tour to access the challenge which takes place at the GUI National Golf Academy adjacent to the championship course itself. The challenge involves a 170-yard tee shot to a green in the short game area of the Academy – replicating the testing challenge that the world’s top professionals will face during the Irish Open from next Thursday to Sunday in Co. Kildare. Each day, the six players closest to the flag will be invited to play the actual 17th hole in front of packed grandstands and galleries with prizes on offer for the winners including vouchers for the National Golf Academy and discounts on insurance from the GUI’s main sponsor AIG. Albert Lee, Hon. Secretary of the GUI said: “The 17th at Carton House is a magnificent hole and to have the chance to play it in front of the grandstands is one not to be missed. The GUI is delighted to support the Tour in promoting the ‘Open House@17’ initiative and I hope that the stands are full each day to see some great golf”. Antonia Beggs, Championship Director for the Irish Open, commented: “We are excited to be working closely with the GUI on this unique opportunity for the average golf fan to play such an iconic hole as the 17th on the Montgomerie Course. Fans can reserve their seat in the 17th hole grandstand for just €10 per day, ensuring that in the year of The Irish Gathering they are part of this exhilarating crowd experience. Big screens will also be erected at the 17th hole allowing spectators to watch all of the action from elsewhere on the course. Anyone who has already purchased reserved seating for the 18th green grandstand will also receive automatic entrance to the 17th stand. All reserved grandstand seating for the 18th on Saturday and Sunday is now sold out. Information about the 17th hole grandstand at the 2013 Irish Open can be found on http://www.europeantour.com/tickets, where special advanced tickets offers for the tournament can also be located.